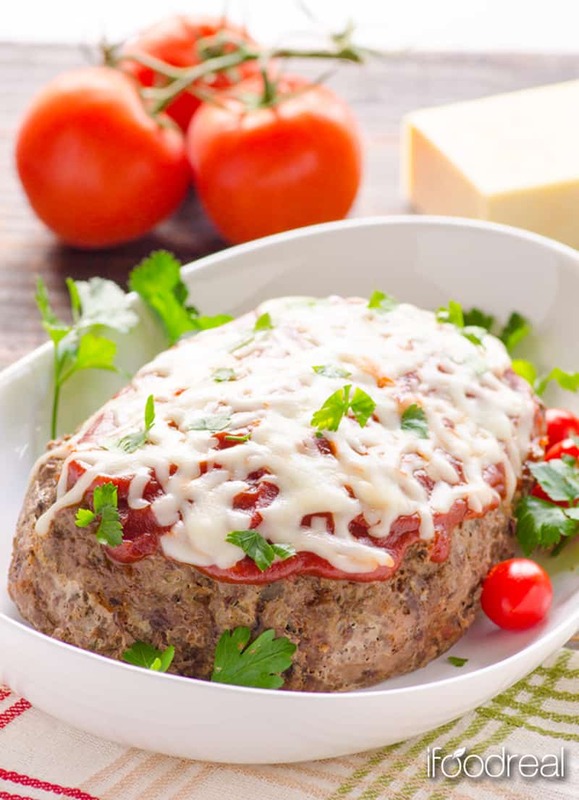 Here’s a healthy recipe for crock-pot meatloaf with an Italian twist from guest blogger Olena of iFOODreal.com. She shredded zucchini to help to lighten-up this slow-cooker meatloaf recipe which means it’s gluten-free and low-carb. Welcome! If you’re new here you may want to sign up for my email list or follow me on facebook to keep up with the latest posts. Hi, guys. I’m so excited to be here and share my “different” recipe with you today. Just wait, I promise it works! About me: I’m Olena, an author of iFOODreal – clean and simple recipes blog. I’m a mom to 2 little boys, wife and an avid fitness enthusiast. My life is busy or, to be perfectly honest, it’s crazy. If you are a mom and wife, I’m sure you can relate. As I like to say, I refuse to be unhealthy and support pharmaceutical companies. Therefore, I cook a lot. And it’s all clean and simple food. Today I will share one recipe with you – Crock Pot Italian Zucchini Meatloaf. Anyways, back to the recipe. First of all, I never thought myself it is possible to make a meatloaf in a slow cooker. So, I understand how you might feel. Turns out it’s easier than you think. The key is to line the bottom of your crock pot with double or triple aluminum foil strips. This step ensures an easy meatloaf removal after it’s cooked. Despite the most recent turkey trend, my meat choice was extra lean ground beef. Also lately, I have been cooking with ground bison and venison a lot. Any game meat like elk, moose or deer will work. Yes, you can use ground turkey in place of red meat. The meatloaf will be more delicate, so be careful when handling. Not that it will fall apart, just saying. And another note, I always buy organic or local and humanely raised meat. Better for you and the environment. Recently, I discovered the power of shredded zucchini using as a binder and moisturizer in place of breadcrumbs. I know, who would think?! Just make sure to squeeze the liquid really well with your hands. Works like a magic in meatloaf and meatballs recipes. It makes the meat moist and holds it together, without adding extra calories. And your kids won’t even know they are eating vegetables. Even if it’s a little bit, I’ll take that. I hope you enjoy this Crock Pot Italian Zucchini Meatloaf and let me or Katie know how it turns out. 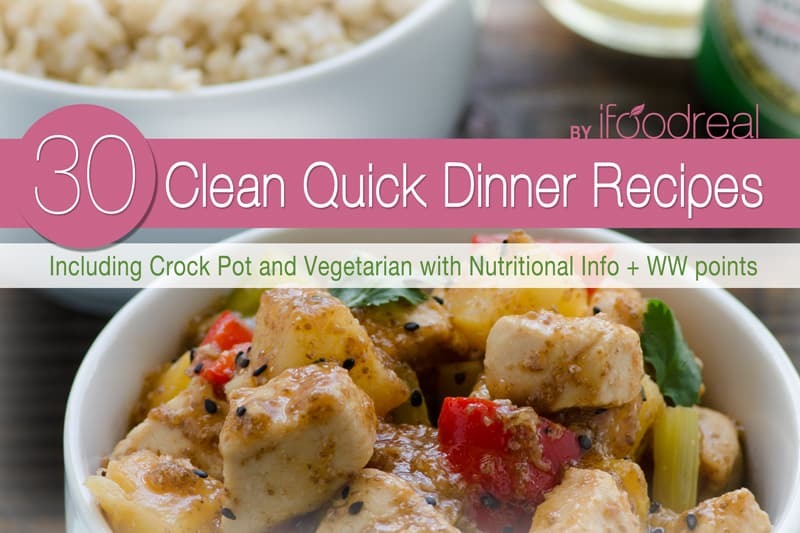 This recipe comes from my new 30 Clean Quick Dinner Recipes eBook that contains plenty of crock pot, vegetarian and gluten free recipes. It is also 20% off for a limited time. If you love this meatloaf recipe, you should also check out this Easy Low Carb Paleo Meatloaf too! Healthy and simple CrockPot Italian Meatloaf recipe with shredded zucchini in it, gluten-free, low carb and grain free. In a large bowl, add all ingredients for meatloaf and mix thoroughly with your hands to combine. Line the bottom of a large slow cooker with double folded aluminum foil, criss cross. Make sure to make the flaps, so it will be easy for you to lift the meatloaf once it’s ready. Spray the bottom with cooking spray. Place the mixture in crockpot and using your hands shape it into meatloaf. Cover and cook on Low for 6 hours or on High for 3 hours. Spread ketchup on top of meatloaf and sprinkle with cheese. Cover and cook until cheese is melted, about 5 minutes. Remove meatloaf from the slow cooker, garnish with parsley, cut into 10 slices and serve warm with whole wheat spaghetti or quinoa. Any whole grain side would work. Storage Instructions: Refrigerate covered for up to 3 days or freeze in an airtight container for up to 1 month. This recipe and images were published with the permission of and belong to Olena Osipov of iFOODreal, www.ifoodreal.com. Copyrighted and all rights reserved. Please do not republish any content on this post without the permission of the author. My free ebook, The Best Weeknight Dinners, includes 15 of my family’s favorites — recipes and meals we go back to over and over again. It includes simple entrees you can make start to finish in 20 to 40 minutes. And all are made with simple to follow instructions and easy to find ingredients. Thanks for signing up! Just check your inbox to confirm your subscription, and then look for a welcome letter from me, including a link to download your free ebook. Every week you’ll receive ideas and inspiration on how to incorporate more fabulous healthy seasonal recipes into your life! Such a delicious, easy recipe! Thanks for sharing – awesome guest post! Thanks Shashi:) So glad you stopped by, and I agree. I love the idea of using zucchini instead of bread crumbs. Thank you so much for sharing. I think it is a great tip too. Thanks for coming by Veranika. I can’t stop and think about it much either, because I feel just as crazy too. Cauliflower crust pizza sounds great, can’t wait to see that one! Thanks for guest posting Olena. I love my copy of the book. looks awesome, I love zucchini! Thanks Christine. It is such a chameleon isn’t it? I love the way Olena used it here, and her tip to squeeze out the moisture is great. What a wonderful meatloaf. Looks tasty! Great post Katie & Olena. Aww thanks Andrew. So glad you came by for a visit. It is really a delicious recipe! And I will try it. I like the idea of zucchini instead of bread crumbs too. I really like this recipe and cannot wait to make it for my family. And I love zucchini, too. I usually eat meatloaf with a ketchup sauce on top. However, with this being Italian I don’t see how the flavor of ketchup would mix well. Is it possible to use tomato sauce on the top instead? If I am going to cook this as a pan dish rather than casserole, would the bake time just be like a regular meatloaf about and 1.5 hours at 350??? I don’t know if it was the grass fed beef I got but I had to throw this out. It was nasty and not edible. I just had a look in the crock pot and it is very runny… It still has 3 more hours to cook – but is this normal? Hi! I am Katie and I am glad you're here. Welcome to my Vermont kitchen. I am a classically trained chef, former food stylist and also a reformed dieter. Today, I believe no food should be off limits. Here on my food blog, you'll find hundreds of easy weeknight dinners, simple seasonal vegetable recipes and intuitive eating tips. If you've got seasonal produce and you're wondering what to do with it, or you're just ready to say goodbye to dieting, then we're going to be besties in like one minute! Take a look around, have a bite to eat and let's hang out! get my free weeknight meals ebook! 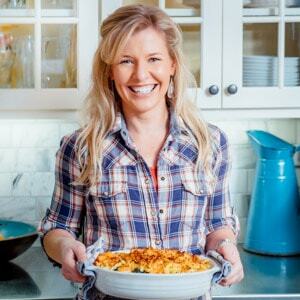 get my FREE ebook, The Best Weeknight dinners! it includes 15 of my family's favorites -- recipes and meals we go back to over and over again -- including simple to follow instructions and easy to find ingredients. i'll also send you some quick tips for creating super basic but delicious and kid-tested meals!